Oh, Stanfords. The Walnut Creek happy hour go-to when you need something familiar. Seriously, happy hour is one of the best things going at Stanfords. They have a pretty extensive food and drink menu during happy hour and I recently found out that Sunday is all day happy hour. I think I've found my new place to watch sports on a Sunday for cheap! 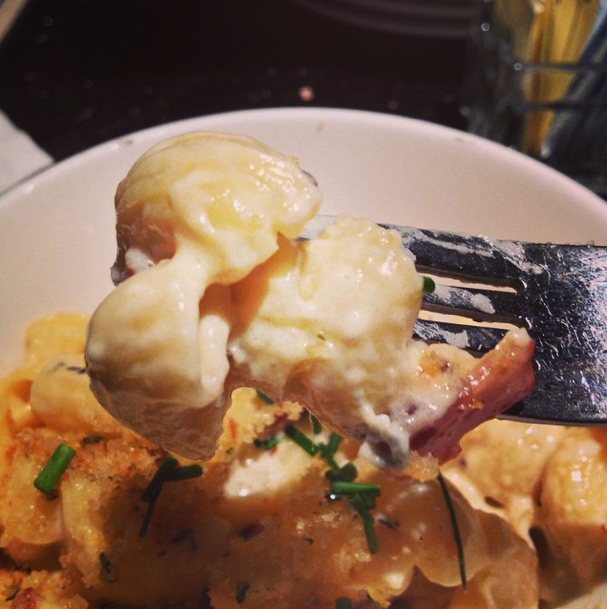 One of their happy hour menu staples has long been the mac and cheese. I hadn't had it in a while, so while I was watching the NLCS baseball playoff game this last weekend with some friends, I figured I'd give it another shot. One thing I forgot about Stanfords' happy hour menu is that while it is extensive and there's a wide selection for cheap prices, the serving sizes are not very big. The mac and cheese was $5 and what I got was basically what you expect for $5 on a regular menu. Something small. 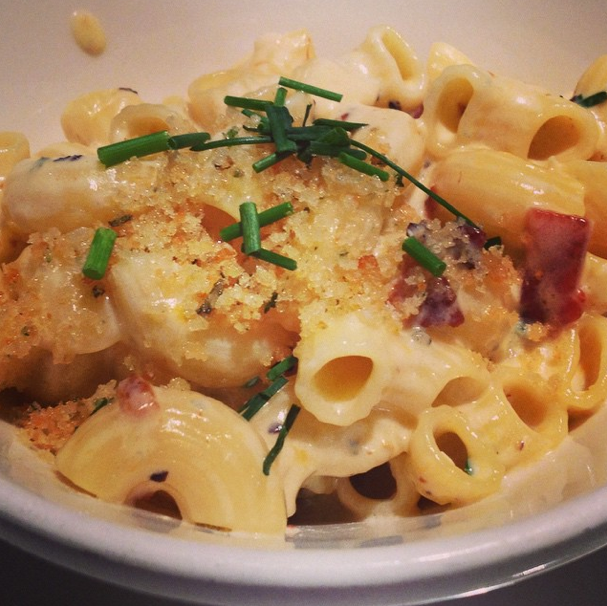 Stanfords makes their mac and cheese with traditional elbow noodles and swiss, fontina, and cheddar cheeses. They add bacon and bread crumbs, and as you can see from the photo above a garnish. How was it? Eh. The noodles were a bit rubbery in texture and the cheese didn't really have a lot of flavor. Not the worst mac and cheese I've had, but not that great either. My advice: If you find yourself enjoying a happy hour at Stanfords in Walnut Creek, your best bet is probably the burger or the sweet potato fries with a spicy cheddar-bacon dipping sauce. Yeah, go with the sweet potato fries.